The number of environmentally conscious people is growing hand-in-hand with the awareness of the global environmental crisis. Every day there are more consumers who, when buying a product, look for companies with a sustainable mindset. But finding sustainable products suitable for our needs proves to be a difficult task too many times, and we simply give up and compromise our values. Not Quang Dinh. When his wife Ellie couldn’t find an eco-friendly active-wear brand, Quang and Ellie decided to start their own sustainable active-wear line and the Girlfriend Collective brand. 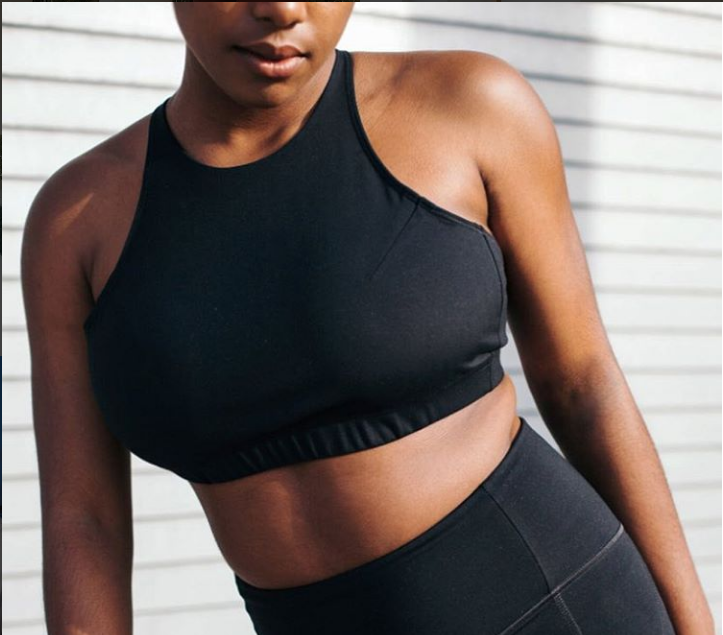 One of the products in Girlfriend Collective’s soon-to-be-launched line is a sports bra, made with ECONYL® yarn. Girlfriend Collective is based in Seattle, Washington, and focuses on the production of minimal, luxurious, and eco-friendly active-wear. Girlfriend Collective’s sports bra, made with ECONYL® yarn. Girlfriend Collective will launch the full active wear clothing line in the upcoming months of spring. Part of the new collection is a sports bra, made with ECONYL® yarn, which makes Girlfriend Collective one of the many garment designers and producers who use ECONYL® fibers to follow a more sustainable approach to fashion. ECONYL® nylon is of the same quality as virgin nylon but with much lower environmental impact. While in the production of virgin nylon raw material comes from crude oil, in the production of ECONYL® nylon, waste nylon products are used, such as carpet fluff from discarded carpets, discarded fishing nets and other waste products. When consumers choose fashion products, made with ECONYL® yarn, they contribute to solving several environmental issues. They help to preserving natural resources by avoiding the extraction of crude oil, to reducing greenhouse gas emissions and energy consumption, and to diverting waste from landfills. Girlfriend Collective’s full line has not been launched yet, however their first product — a pair of black leggings — already had its debut on the market. To promote their new company, Girlfriend Collective initiated a promotional campaign in which they offered their leggings free of charge; customers were only asked to pay the shipping costs. This kind of word-of-mouth marketing approach eliminates the need for a big advertising budget and third party involvement — something that is important to Girlfriend Collective’s philosophy. Quang’s motivation behind creating a sustainable active-wear line was to offer his customers something that was missing — active-wear items that are luxurious and of high-quality, and at the same guarantee that neither social nor environmental damages were done during their production. The black leggings, the first product Girlfriend Collective put on the market, are sewn in a factory in Hanoi, Vietnam, which uses yarn made from recycled water bottles. The caps and labels are removed before the bottles are shredded into tiny chips. Those chips are then processed into fibers and later into yarn. For one pair of leggings, 25 water bottles are recycled. Sustainability is deeply engrained into Girlfriend Collective’s values. For Quang, care for both the environment and all the people involved with their products are the most important aspects of his business. Girlfriend Collective is committed to being a part of a meaningful change in the fashion industry — by using renewable resources and collaborating solely with fair-trade partners. Girlfriend Collective was in part conceived as a response to the negative image of the fashion industry being criticized as both ecologically and socially irresponsible. The truth is, many fashion brands today are becoming more sustainable, but the negative image remains. To combat this negative image, Girlfriend Collective is putting extra effort into being transparent toward its customers. Girlfriend Collective’s vision is to become more than just a brand of sportswear, they are dedicated to building a community of people who care about where the clothes come from. It’s no wonder that the quest for transparency brought Quang to ECONYL® nylon plant. Quang visited us as a part of his travel, which he jokingly refers to as a “honeymoon with my videographer”. The purpose of their travel is to document every step in the garment production, from the collection of raw materials all the way to cutting and sewing. The fashion product journey is long and complex and therefore difficult for consumers to see how their garment was produced and who made it. Quang Dinh is visiting ECONYL® sustainable nylon plant to make sure of the sustainability of its production and to document it to his customers. Quang strongly believes his customers should get to see and learn about every step of the product’s journey. Through the story telling, he wishes to connect with customers and build the Girlfriend Collective brand. At the same time, he is offering a level of transparency, something not common for the fashion industry. “We are so above reproach in our production that we can show it, because nothing that we do is unsustainable,” Quang says. Starting your own clothing brand is not simple; an environmental friendly one even less so. Luckily, Quang had just the right background. Since the years he spent as a student of mechanical engineering with a focus on sustainability, he has had the urge to make a bigger impact on the social and environmental well-being of our planet. He ventured into the world of business and created his own company at a young age of 22. His first business was a denim company in 2005, with which he provided an alternative to the negative image of the fashion industry. His main guideline was making sure his company wasn’t like those which exploit workers and act irresponsibly towards nature, only having profits in mind. And so, Quang found a family farm in Texas that had been grown 100% organic cotton for generations. The farm shipped the cotton to a Japanese mill, where it was turned into denim by using vintage shuttle looms and then sent it back to Los Angeles to be cut and sewed. Eventually, Quang started his own garment manufacturing venue in India, following the fair trade principles, and provided workers with fair wages, healthcare, and housing. In three years, Quang’s organic, fair trade denim line was a success: it was sold in every major boutique in the world, from Tokyo all the way to Paris, London, and across the United States. When they had to upscale the production for a major retail seller, Quang repeated all the necessary steps to ensure again that every part of the production was irreproachable. And who are the people behind Girlfriend Collective?